Just 5% of new fathers and 8% of new mothers have opted to take shared parental leave since it was introduced in April 2015, according to the CIPD. Its survey of more than 1,000 HR professionals revealed that only just over a fifth of organisations had received requests from male staff to take up shared parental leave (SPL), and in two-thirds of organisations where mothers are eligible for SPL, none have taken it at all. Just over two-thirds (68%) of respondents thought more women with young children would return to work if free childcare – currently available to most three and four-year-olds – was extended to children up to two years of age. 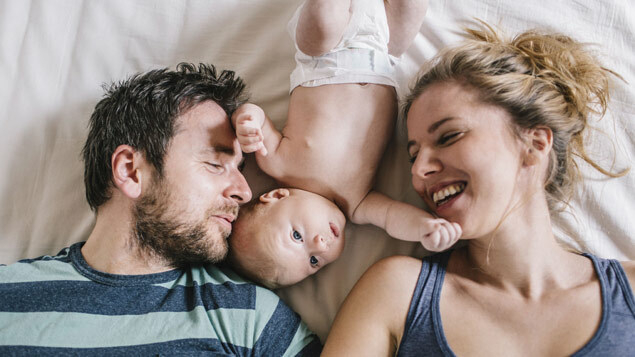 Rachel Suff, employment relations adviser at the CIPD, said: “Shared parental leave was a milestone for gender equality when it was introduced last year. The intentions were right, and on paper it gives new parents much more choice and flexibility about taking leave to look after a new baby, particularly if the mother is the higher earner and if dads want to play a bigger role in their child’s early life. The survey found a significant lack of employer provision for working parents. Just 30% of respondents said their organisation proactively promotes flexible working options to employees who have caring responsibilities, while only 11% have a childcare policy offering a range of options to working parents. six per cent feel SPL is a bad idea full stop. Suff added: “Encouraging pledges on childcare were made during the last general election but the approach to date, however well-intentioned, has been to introduce ad hoc initiatives without considering their longer-term impact. She also called for greater support for the increasing number of employees who have to juggle both childcare responsibilities and looking after elderly relatives – the so-called “sandwich generation”. Sarah Jackson, chief executive of the charity Working Families, said: “For many working parents of children under three, the only support with childcare costs is childcare vouchers. So it’s concerning that more than two-thirds of employers are unaware of tax-free childcare, which will replace it. Research by XpertHR earlier this year found that employers that offer enhanced pay for shared parental leave are twice as likely to receive requests for it.